ALIVE!~BOOK OF JOHN JOURNEY for March! I don’t know about you, but I want Easter to be MEANINGFUL this year. I want to spend these next few weeks leading up to the most pinnacle point in my faith preparing my heart. There is no one else who has ever died for me. except for the few that Life Himself resurrected. Join me on a journey through the book of John to bring the LIFE within Jesus alone to permeate every area of your life. When we let his word work in our hearts, he transforms and brings new hope, power, and breath to every situation, every day, every relationship. 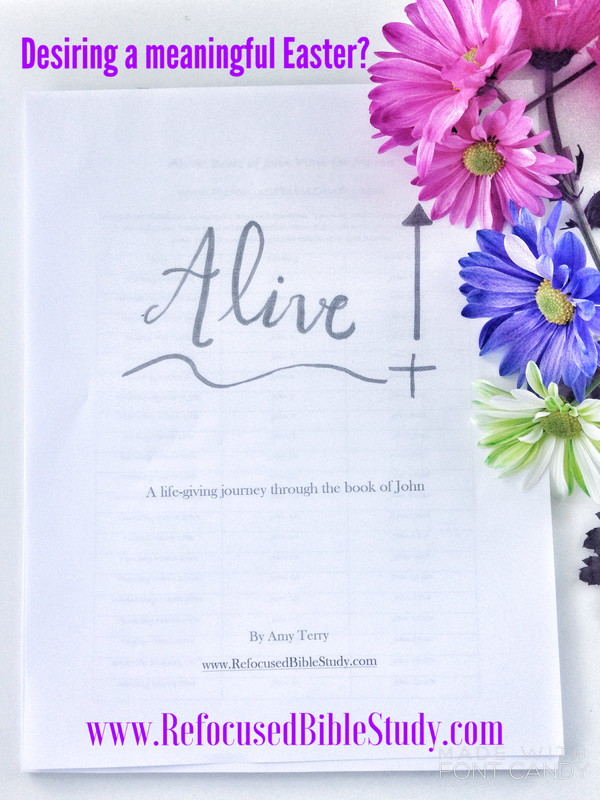 “ALIVE~A life giving journey through the book of John” for only $5.00! This journal includes a reading plan, #WriteItOut verse of the day page, and a guided “Quiet Time Reflection Page,” to lead us up to a very meaningful Easter! I’ll be blogging here 2-3 times per week, and posting one video per week to encourage you and give you more insight through this journey. Your purchase helps to support this ministry as I continue to spend lots of time spreading hope of encountering God’s word in a personal way! Click below to purchase through paypal and download, or if you wish to send me a check in the mail, email me at Adterry13@hotmail.com and I will send it to you via email. Download this FREE Reading Plan and #WriteitOut plan! We start on Tuesday, March 1st reading one chapter a day in the book of John, and then writing out one verse centered around the LIFE inside of Jesus! You may only have time to WRITE OUT the #WriteItOut verse and think on that one verse all day, or even just read and think on th one verse a day, and that is OK! Jesus knows, he has you in a season where you can meditate on one verse a day and talk to him in prayer as you walk through your busy day. in whatever capacity their life at the moment allows! I cannot wait to see the new life his Word will bring to our lives!